I knew you would appreciate the spicy Dawn! This one is definitely hearty, and perfect for our colder fall days! Hope you’re having a great week! I don’t have an instant pot but I love my slow cooker. 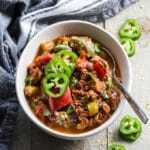 Its Chili season and this looks amazing. Thanks Patrick! I love my slow cooker too! Yay for chili season! This sounds delicious, Leanne! It’s still really hot here but as soon as we have a little cooler weather I’m going to try this–and make it extra spicy :). Hope you had a great weekend! Thanks Kelsie! I like the way you think! I love extra spicy! Hope it cools down a little for you soon! Thanks Ashika! I got my Instant Pot last Christmas, and it has been a great addition to my kitchen! This is another delicious example why I love my Instant Pot so much! 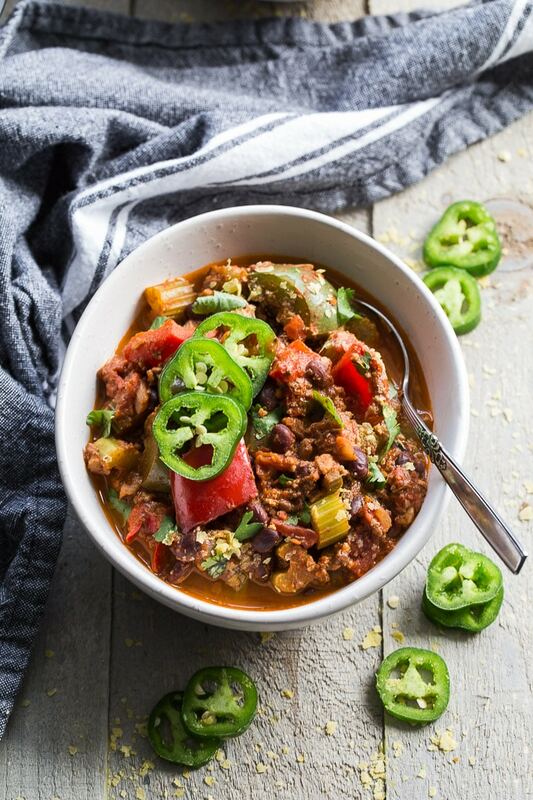 Getting ultra flavorful chili cooked in a fraction of the time is a life saver on meal prep days or busy weeknights. I love this hearty vegan version and the kick of heat! Thanks Marcie! The Instant Pot is a definite life saver on busy weeknights and totally helps with multi-tasking on meal prep days! I have both. 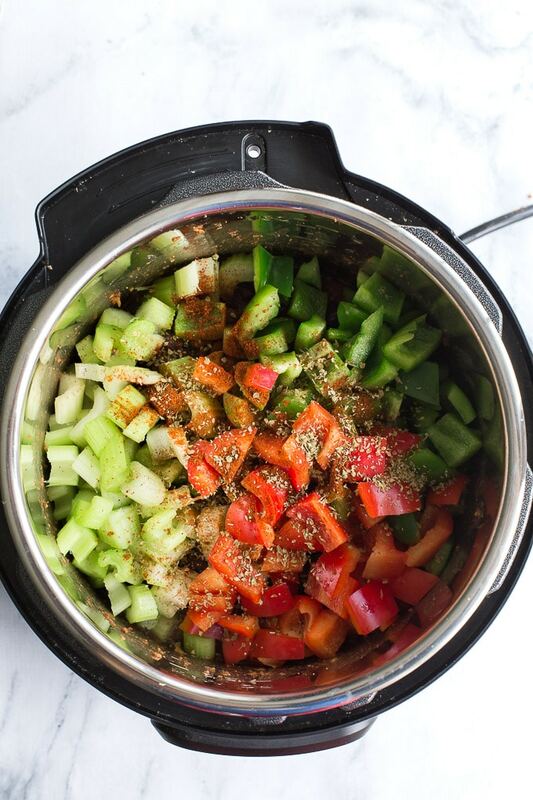 Like you, I love my slow cooker, and I love making soup in my Instant Pot. I’ve had some fails with it (mushy chicken) and some great successes too. Right now, I’m making bone broth in my Instant Pot and I wouldn’t make it any other way. Oh, and by the way, this chili sounds divine. Pinned! Thanks for pinning Elaine! I’ve had some fails in my Instant Pot too. Altough I’ve had fails in my slow cooker and oven, so I guess it just comes with learning! Bone broth in the Instant Pot sounds like something I need to try! This looks delicious Leanne, and it’s the perfect fall meal! I love serving chili for football games too. Always a crowd favorite! Thanks Mary Ann! 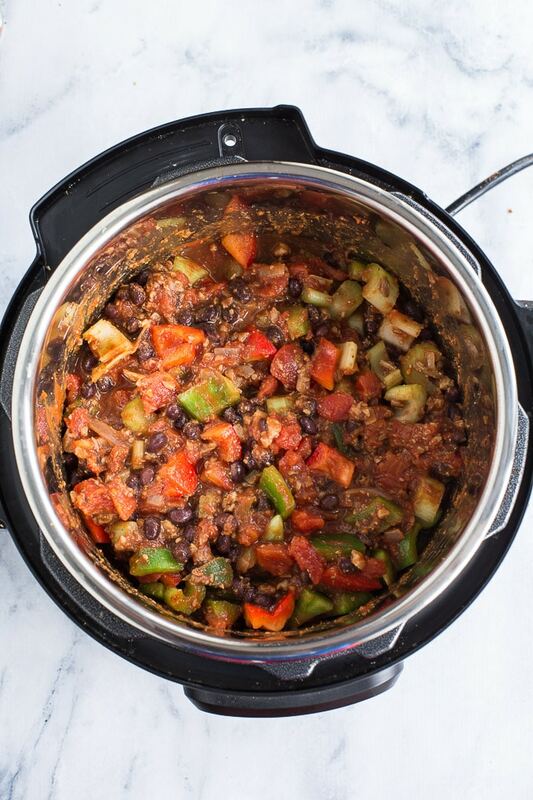 Totally agree – chili is always a crowd pleaser! 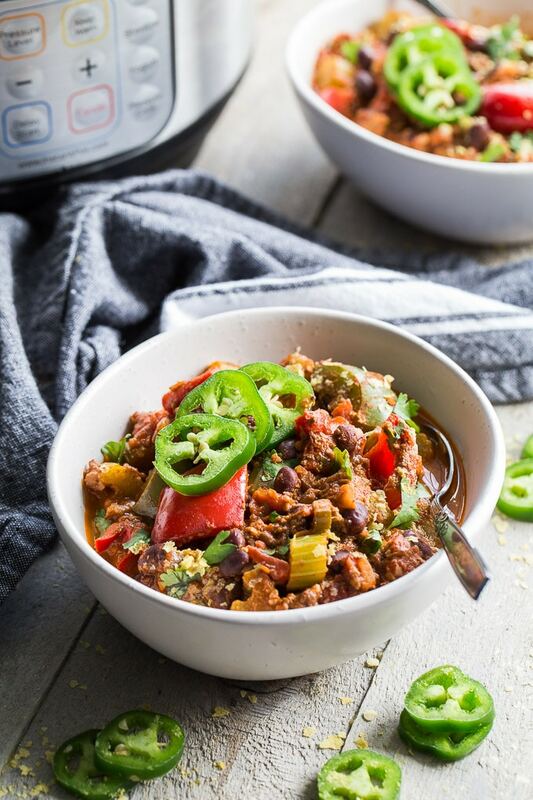 I’m getting the hang of my Instant Pot , too and this chili looks like one I definitely need to try! It took me a while, but now I think I got the hang of it! Thanks Lisa! Fall is definitely in the air around here, and I could use all the cozy chilis and soups I can get! The Instant Pot is pretty wonderful in cooking things up quickly! 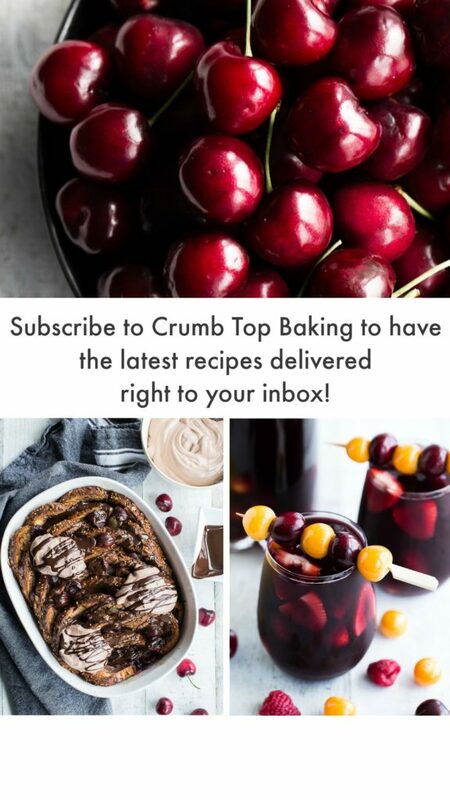 Great for busy weeknights! Thanks Stacey! 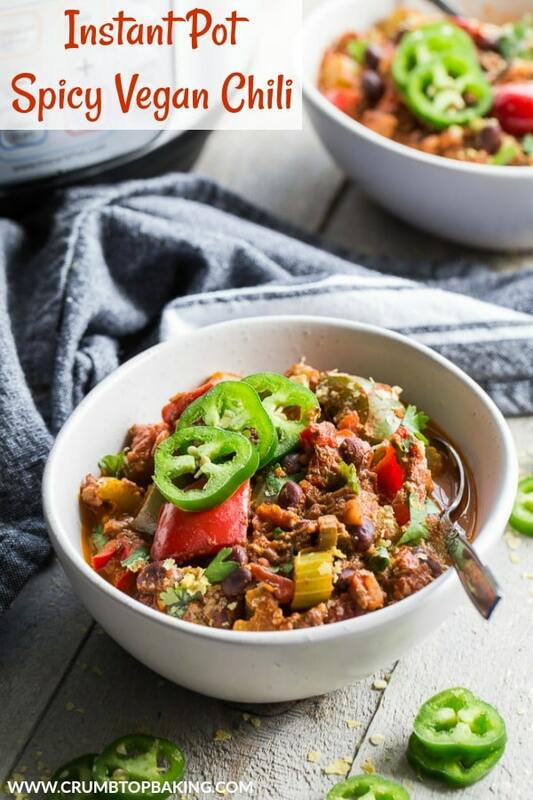 Love a good spicy chili Leanne and I’m always looking for more Instant Pot recipes, I’ll be saving this one to make! 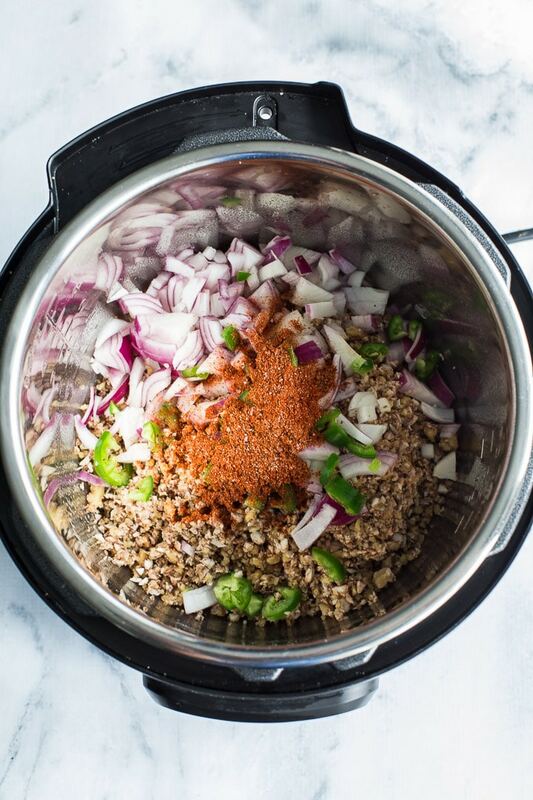 I’m so with you, I love my slow cooker too but now that I’m getting used to my Instant Pot I just want to make everything in it – can’t wait to see what Instant Pot recipes you have coming up! Thanks Tanya! Would love to know what you think if you make this one! It’s a long fall and winter, so I’m sure I will have a few cozy Instant Pot recipes to share!